Taking a screenshot of a meme or conversation is one of things you do the most. We do this on a daily basis, but the native screenshot feature on Android is barebones, and does not include any customizability options. So HTC’s Screen Capture Tool has decided to shoulder the task of your screenshot needs. 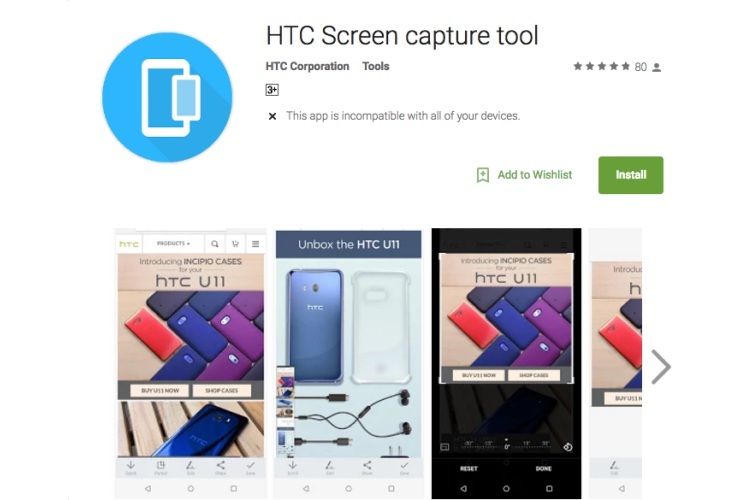 Alongside the updated Edge launcher, HTC also launched its aptly-named Screen Capture Tool on the Play Store. But there’s one caveat: You cannot install it on just any device through the Play Store, as it’s exclusive to HTC phones. Read on to find out how to get it for any phone. This app brings along a collection of Samsung Experience features such as scrolling shots, cropping, doodling, and more for capturing what’s on your screen. 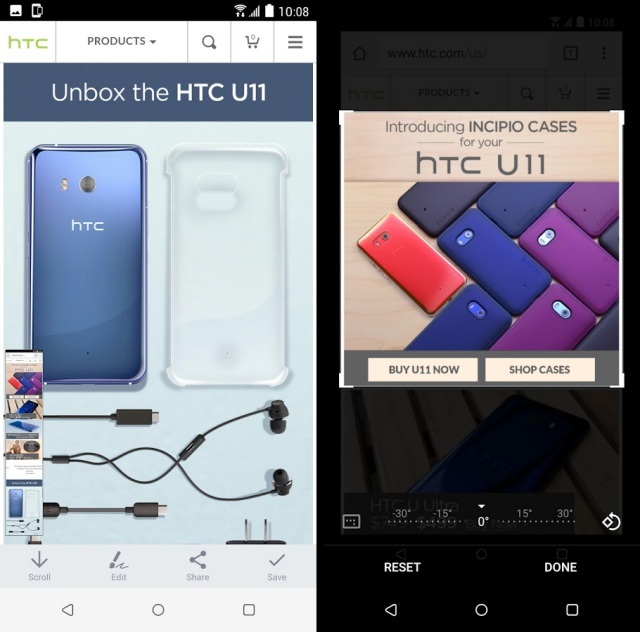 As for how HTC’s screen capture tool works, you’ll start seeing a pop-up bar with all the options at the bottom of the display, once you’ve installed the app and doled out the required permissions. The options included in this pop-up bar are: scroll (to capture a lengthy web page), partial (to crop screenshots), edit (to doodle or annotate them), share and save. Scroll: This feature lets you capture longer screenshots by allowing to navigate through the content displayed on the screen and stop when needed. You can see the content that has already been captured in a tiny window at the bottom left of the display. Partial: A simple cropping tool to edit out those sensitive parts in some screenshots. Edit: This option lets you add text or annotate the screenshots you’ve captured, by selecting either the text or draw option. The former is quite straightforward, whereas the draw feature provides you with a host of tools, such as a pen, crayon, marker, eraser, and other tools, to choose from. The save and share options let you either save the screenshot to the gallery without any editing or send it out to social media or friends respectively, without any hassles. You can head over to Google Play Store right now to install this screen capture tool. But, if HTC’s app doesn’t appear on your device (like it didn’t for me, on my OnePlus 5T) then you can download its APK from APKMirror. Your long hunt for that perfect screenshot tool on Android phones may have finally come to an end, well as long as your phone has Android 7.0 Nougat and above.